When Sean Carmody was in his early twenties and looking for work in Providence, Rhode Island, he went to the busiest corner in town and knocked on a restaurant door. Three brothers, originally from the Middle East, and their eighty-year-old mother, curiously came out to meet him. They soon asked their most pressing question, "Can you cook fast?" Sean was hired on the spot when he took a leap of faith and answered, "YES." From there he flew by the seat of his line cooking pants. "The family was wonderful to me. They taught me the ropes. My days often started with grinding up spices and chickpeas, then we'd develop the rest of menu. I learned everything by doing," Sean says. Years later, after Sean had transitioned into environmental advocacy work, he moved back to his native Westchester County. Things were going fine. Yet one afternoon, as he walked through Hastings-on-Hudson, he caught an intriguing site: a new falafel restaurant. Once again, he rapped on the door. Zamir Iosepovici, an attorney from Israel with a love for Middle Eastern street food, opened it. Sean was hired, and in his words, "I never looked back." 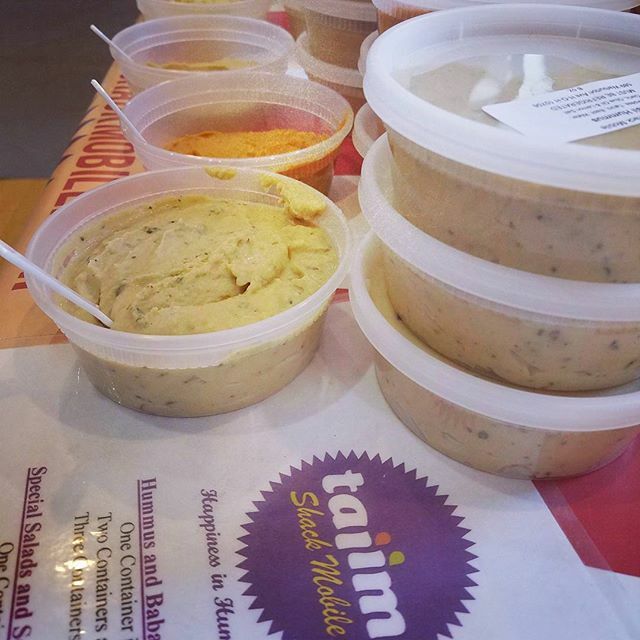 In 2015, Sean purchased the Taiim hummus line from Zamir, and now he's infusing his creativity into the products. "I want to change people's very idea of hummus," he says, "The flavors of hummus become bigger and warmer when we work with seasonal ingredients." His early adventures include Arugula and Sage, Pumpkin, Cilantro, and Beet Hummus varieties. Sean has good friends who run an herb farm near New Paltz, NY. When he walks their land, he dreams up new flavors, even as the days get shorter and the harvest grows sparse. For example, in the winter of 2016, he debuted Fire Cider Hummus. Fire Cider is a "thousands year old" recipe that uses the last of the garden – herbs, tubers, and more – and soaks the mixture overnight in apple cider marinade. Sean then boils it down and blends in this rich taste to create a hummus unlike any other.